I’ve been overdoing it a little recently. My work / life balance is way off kilter. I had planned to be nearing the end of the beautiful West Highlands Way with my friend right now however… life happened. He fractured his arm downhill mountain biking so our trip is postponed until September. 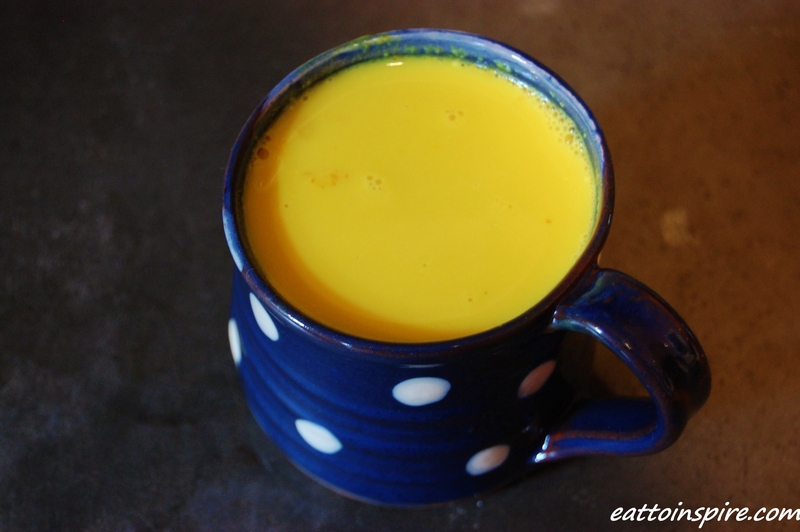 I am actively trying to make time for myself this week, which started with a wee bit of Reiki, a run through the woods and this delightful cup of turmeric milk. I heard of turmeric milk ages ago and I was curious to see whether it would be a wonderful delight or a cup of disappointment. I’m thrilled to report that it was absolutely wonderful. I recommend that you give it a go. 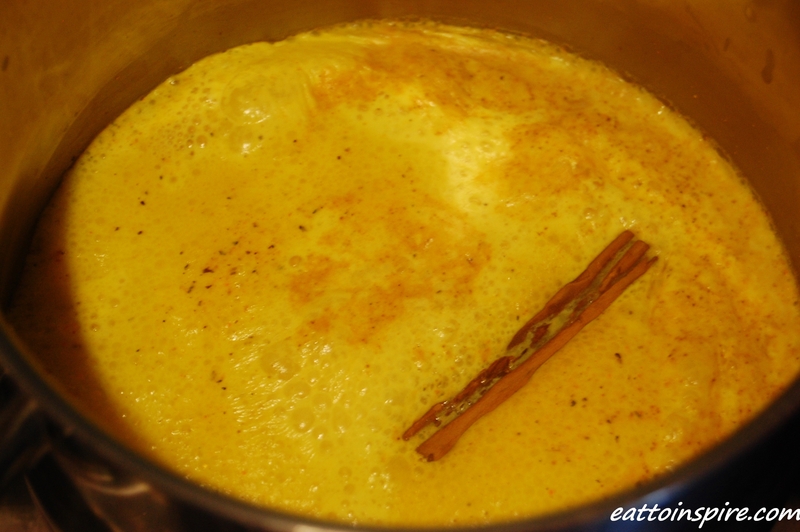 It is sweet, spicy and comforting. Place all of the ingredients in a small pan. Gently heat for around 15-20 minutes until you get a golden bubbling volcano. Strain into your favourite mug. Enjoy! *It is especially important to use black pepper with turmeric as it massively increases the bio availability of the beneficial compounds in the turmeric – research it for yourself. It is really important to make time for yourself. There is nothing selfish about taking time out of your day to have a check in with yourself and appreciate all of the great things about yourself. Taking care of yourself and taking time out from life is so essential to help you perform at your best in other areas of your life. How are you able to help others if you are not first helping yourself? Treat yourself to a ‘me’ date. This can be anything from taking time to cook yourself your favourite foods, having an hour in the bath tub, going for a relaxing walk. Whatever it is that makes you feel calm and relaxed. We are so bombarded with information, noise and light in today’s society that is is so easy for us to feel very disconnected from our emotions. I am guilty of this big time but I am making a conscious effort to make enough time for myself ever week. I’m learning that it’s ok to say no to people. I can only enjoy spending time with people when I have enough time for myself. Life is all about balance and the older I get, the more I learn what it means to be balanced. I think it is something we are all striving for. How do you like to treat yourself to some me time? 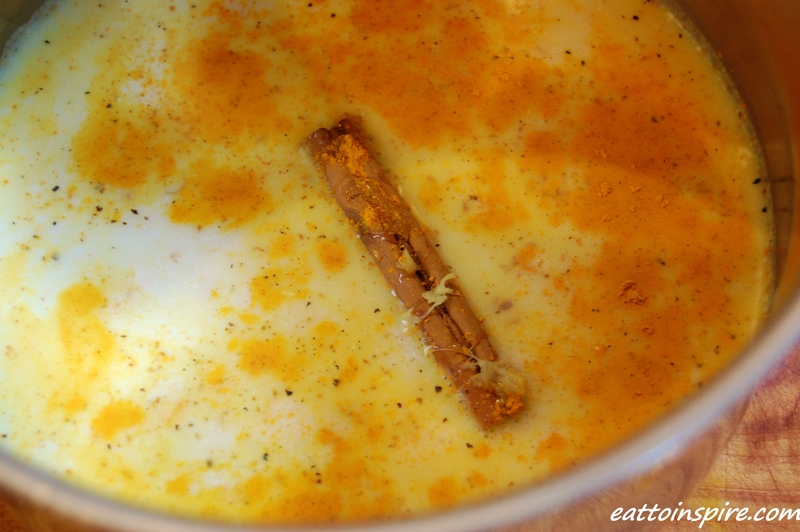 Have you tried turmeric milk? What are your favourite comfort foods? What do you appreciate the most about yourself? Love yourself, you are amazing. Interesting. I might try that! Looks really comforting. By coconut milk do you mean the tinned, thick kind with cream or the kind they sell sort of like almond milk and soy milk? Thanks that helps. I will try this recipe soon!